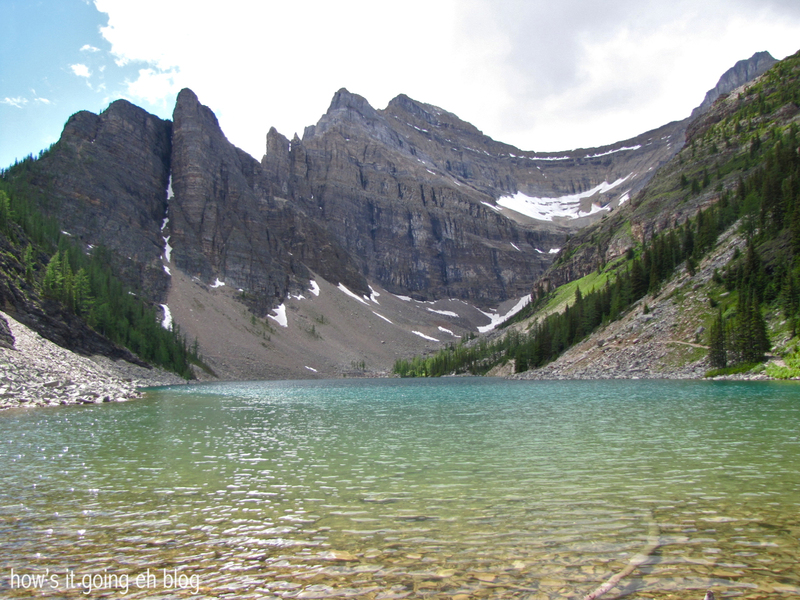 Lake Agnes Teahouse – Banff | how's it going, eh? Hey y’all! 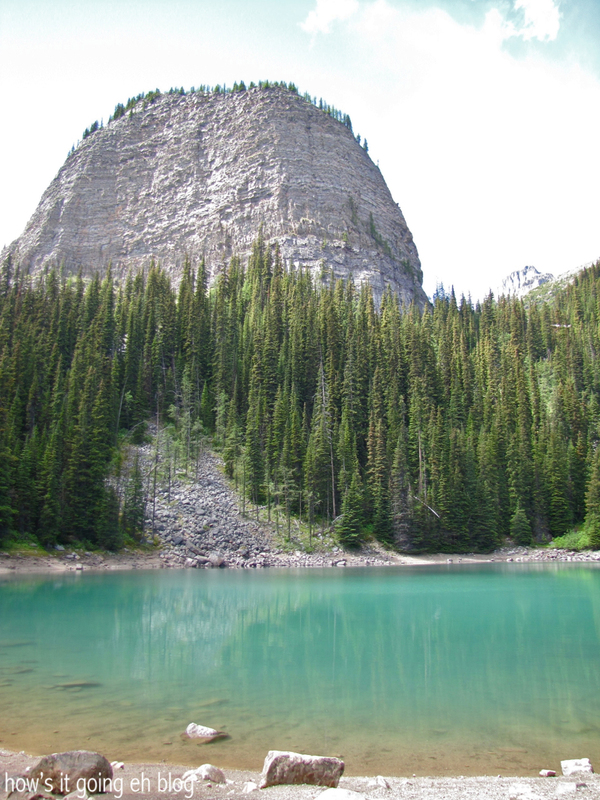 Into the Canadian Rockies for the next bunch of posts! And it’s going to knock yo’ socks off! 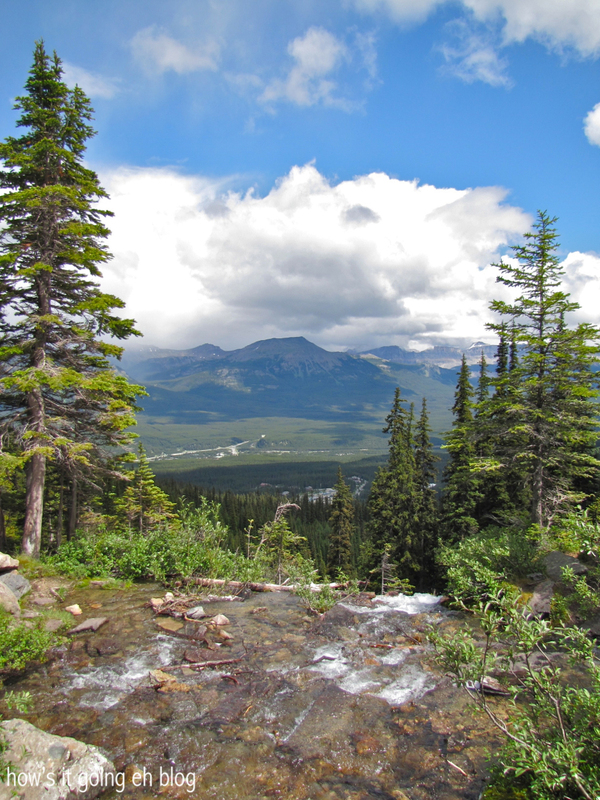 When my NY via Los Angeles pal Debbie came up to Canada, I promised her a lot of hiking. And a lot of hiking we did! After spending a couple days in Calgary, she was more than ready to move on! 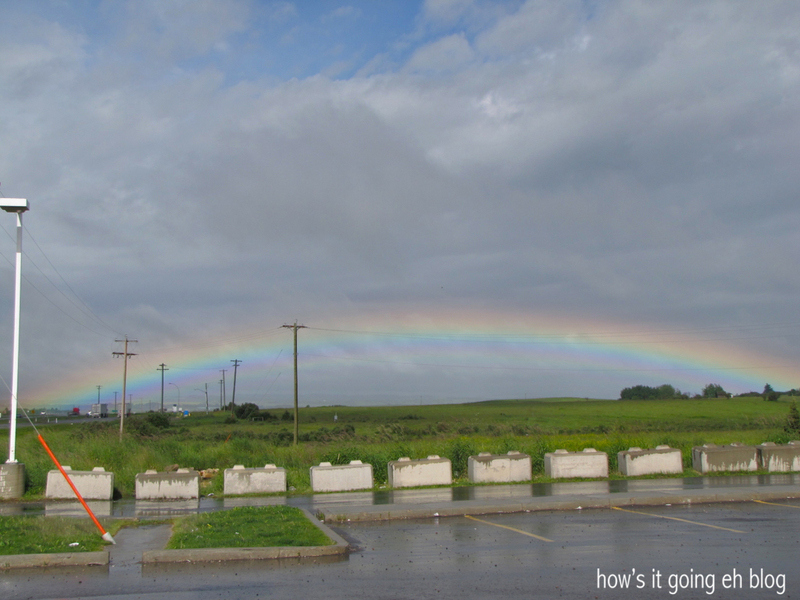 The weather was gloomy + wet when we were leaving Black Diamond, but as we got onto Highway 1 – a full rainbow!!! WHAT DOES IT MEAN???!!! We took it as a good sign! Gas station shot, I know. What can I say? We headed to Canmore to rendez-vous with our buddy Karen. What’s cool is Debbie + Karen had met in Los Angeles when Karen + my sister-in-law Deb were visiting when I lived there – pretty cool, eh?! Check out that post here! All three of us ladies hopped into Karen’s car + headed west towards Lake Louise. Luckily since it was overcast + wet, there weren’t as many tourists (it can get really thick with tourists). 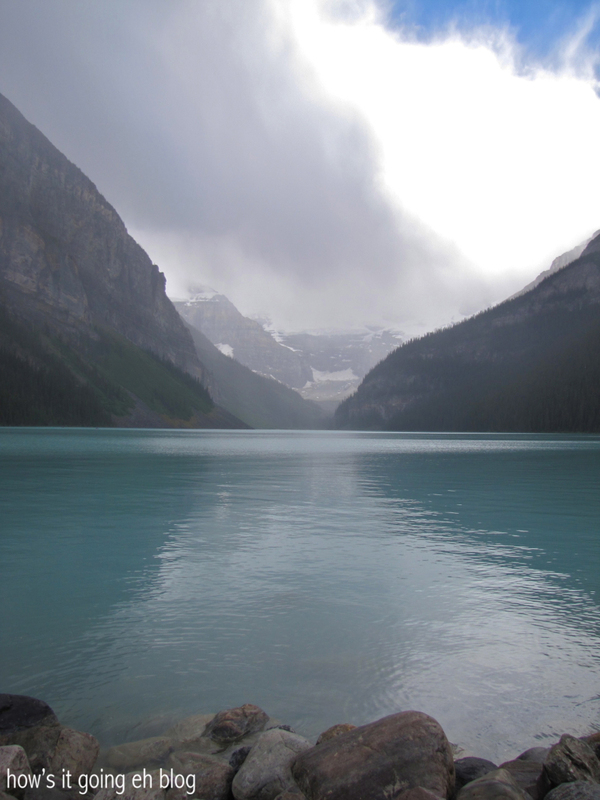 Lake Louise was feeling moody. 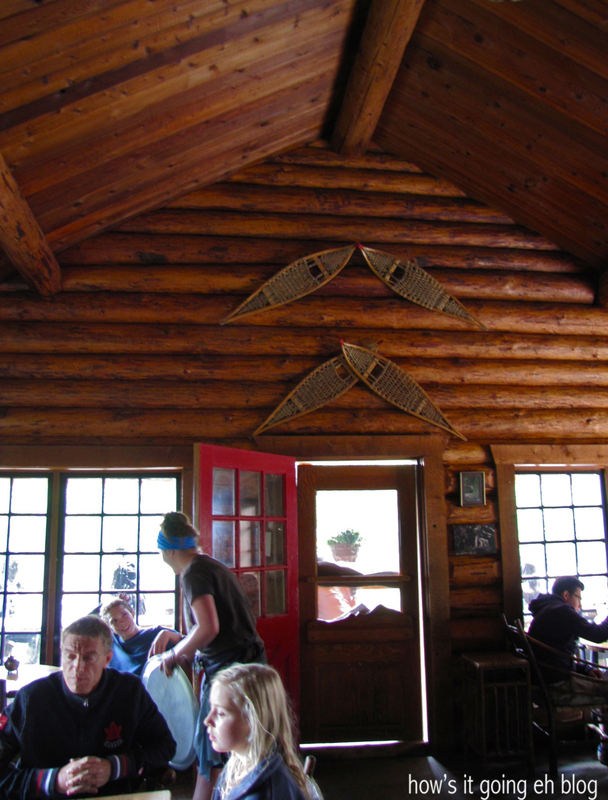 Our destination was the Lake Agnes teahouse that is situated up + behind Lake Louise. 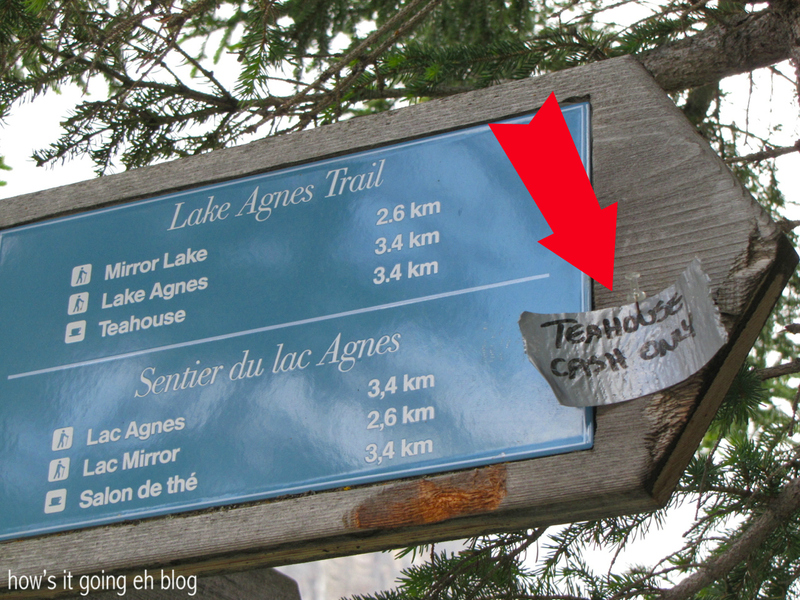 If you’re going to take the hike to enjoy the teahouse, it’s CASH ONLY! As Karen pointed out by the classy, tiny piece of duct tape someone ingeniously stuck to the sign. No joke, cuz after people did the hike up they’d get to the top + express loudly in exasperated anguish, “WHAT?! CASH ONLY???!!!”. Don’t let this be you! It’s an easy uphill the entire way, but let me tell you people – I am crazy out of shape!!! I was huffing + puffing + sweating up a storm!!! 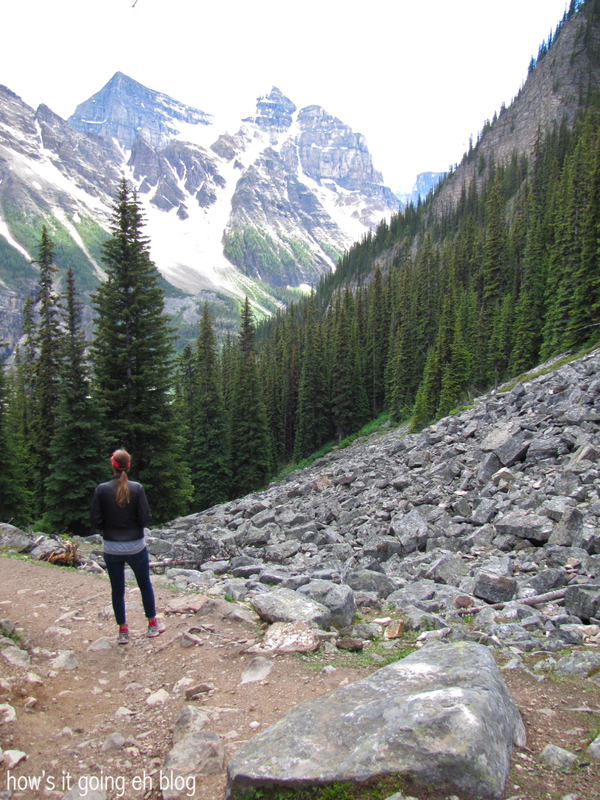 It was a good first hike to start off our Canadian Rockies Hike Off 2013! 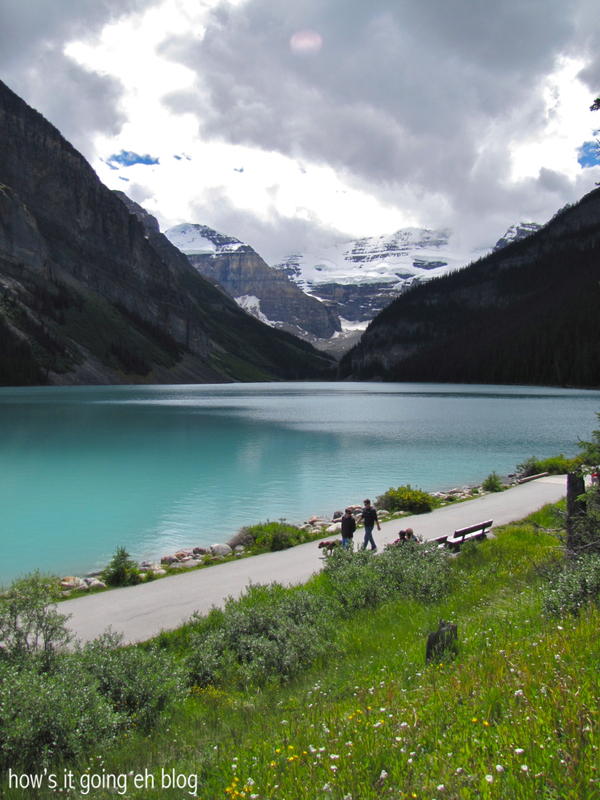 The sun began to peek out + Lake Louise was a blue little jewel from up above! We arrived at little Mirror Lake. The cool rock formation behind it is called The Beehive – isn’t it neat?! Oh thank the gods – the teahouse!!! 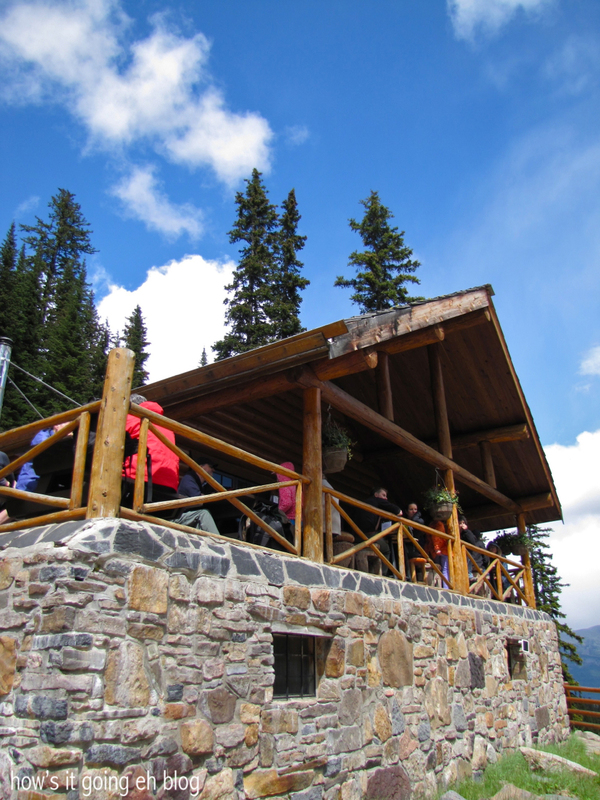 The teahouse is at an elevation of 7005 ft + we had gained 1205 ft from Lake Louise! 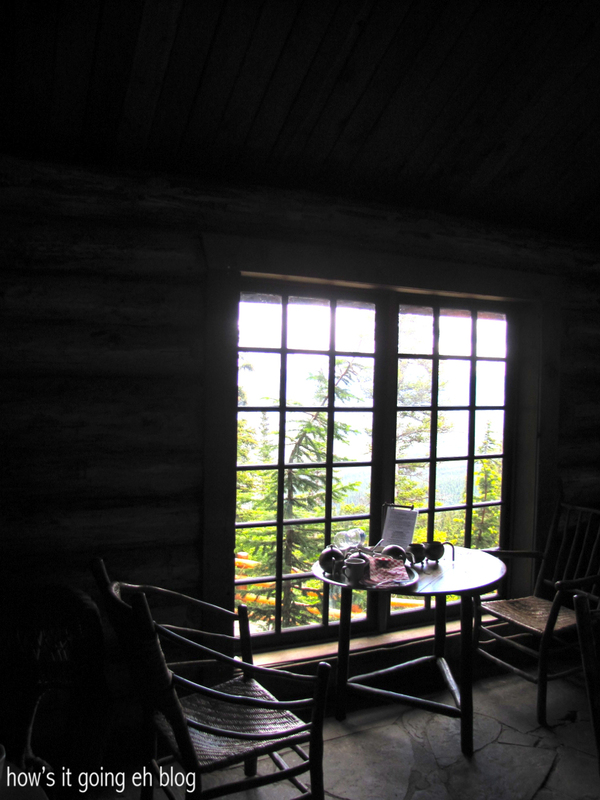 Built in 1901 by the Canadian Pacific Railway, it started serving tea to well deserving hikers in 1905. Their food is expensive due to the fact that everything (including trash) has to be hiked in + out! But everything is freshly baked + super hearty! Luckily, we found a table outside. The teahouse was still crowded on an overcast day! We ordered some tea + lemon poppy seed loaf (yum!). Service is a little understaffed + slow, but the curly-haired-hippie-girl-waitress-staff remained cheery! An inside table with a view. The interior is cozy, but I enjoyed being seated outside! 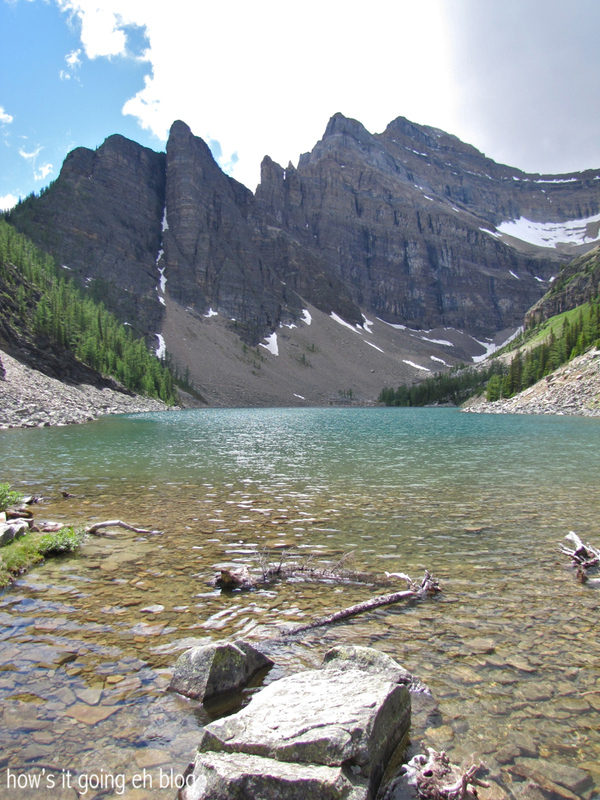 Lake Agnes is named after the wife of Canada’s first Prime Minister John A. MacDonald – Lady Agnes MacDonald. It turned out to be such a beautiful day!!! The creek running off from the lake, down into the valley below. Even the hike down was picturesque! 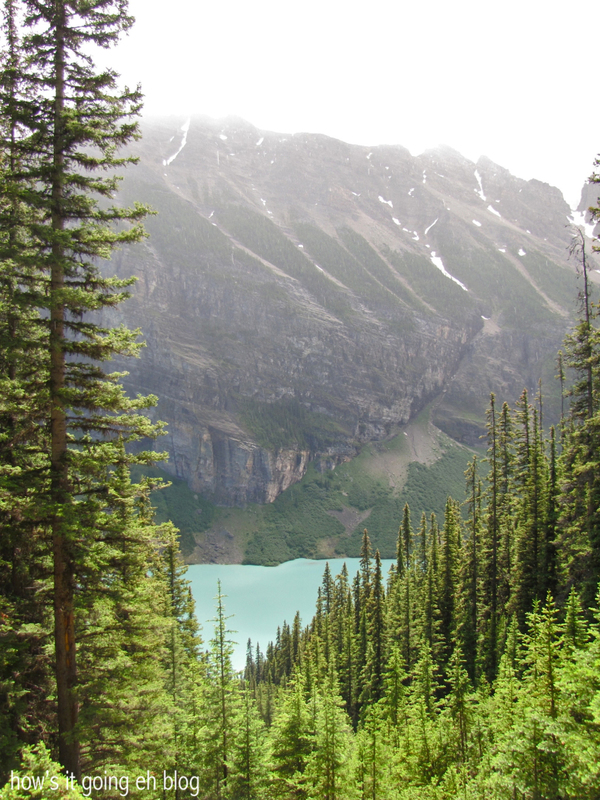 Back down to Lake Louise. A great, easy hike to ease our way into what was to come! 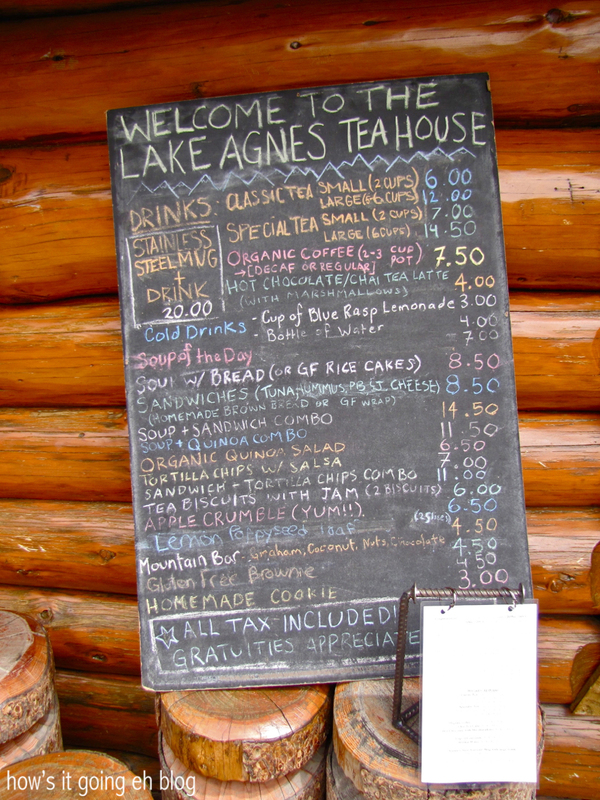 Lake Agnes teahouse is a little gem. My advice, get there early to avoid the crowds + BRING CASH!!! Holy cow what an amazing hike and such a cool destination! Adam’s memory is better than mine, he says we were going to hike to the tea house when I came to visit in early June but the trail was still iced over and impassable. Wish we were there to tag along for such breathtaking views! I miss you! I wish you guys were here too!!! I miss you so much! Beautiful pictures sister but I’m sure it’s even more gorgeous in person! Are those expensive prices for food at the tea house? It seems reasonable to me…maybe you’ve been in Canada too long!😏 haha! It’s SO much more beautiful in real life!!! Well, I thought it was a little pricey – maybe I’m just cheap!!! U captured the Canadian Rockie’s girl,..good on U!!!!! …Ouch !!!!! hope all is good best 2 Jeffrey & Meg’s !!!!!! It’s great for tea, coffee + snacks,but I wouldn’t necessarily stay for a whole meal! Love you! Lovely images and you had me chuckling once again over the duct tape sign. Love that red arrow pointing at it. Can’t wait to meet you! ~M. Thanks!!! Can’t wait to meet you too!!!!! The rainbow is the sign of promise. Keep dream on girl. I keep on dreamin’ mama!!!! DREAM ON!!!! Love you!!!! Love that place – its always a quiet walk there with all the talk on the way down!!! So true – catching your breath on the way up + chit chatting on the way down!!! I was there maybe a week earlier! I LOVE the Rockies, don’t you?! Alberta sure has some gems! I loved the Rockies too! Were absolutely stunning, more so than I had imagined. Where are you now? We are in Black Diamond. Usually we are in Canmore with friends during the weekends. But I’m so sad – at the end of August we’ll be driving back to Vancouver!